If you have any questions about our glass furniture products or want some advice from one of our interiors experts or have an enquiry about anything else, then please see the information below. How do I contact Klarity? Our customer services team are available Monday to Friday from 9am until 5.00pm and available on email throughout the weekend and holiday seasons. Please see our Terms & Conditions for more information on how to return items and receive a refund. In most cases we offer a delivery and placement service as standard, ensuring you receive an extremely high quality of service throughout the process and in most circumstances we are happy to assemble the furniture. If you are unsure whether we can assemble or place please contact our office in advance to discuss further. Please note: due to insurance purposes we unfortunately can not fit any items to the walls, etc, this includes mirror items. Please see our delivery page for all the information you’ll need about our delivery service and what you can expect. Glassfurniture.co.uk occasionally use promotional codes to give you exclusive offers and discounts. Each promo code will be unique to a specific offer and can be redeemed on-line during the check out process. You need to enter your promo code in the shopping cart under your order details or checkout page by clicking the banner at the top of the page. After you have entered your promotional coupon and submitted it will apply the discount to your order on shown on the right-hand side of the page. You must enter the promo code when you are checking out as it cannot be applied later. Please note coupons can only be used during the promotional period as advertised. Glassfurniture.co.uk run offers from time to time which can include free gifts which are offered when purchasing another item. Your free gift will be added to your shopping basket automatically when you add a qualifying product. Current free give offer: Stati danimo wall mounted mirror. We will give you the customer 1 stati d’animo wall mounted mirror free of charge when you order any of our dining tables. This mirror can be used a single mirror or as part of a system. Should you which to order additional mirrors please contact us and we will offer a quote. The offer is limited by stock and could be one of the two variations available. Klarity Glass Ltd reserve the right to stop or change any offer without prior notice. Standard T&Cs apply. For further question please contact us through our contact form or phone during normal office hours. We currently deliver though-out the UK mainland. As soon as we are able to deliver to more countries, we will update this post. How do we charge for delivery? We try to keep our delivery costs to a minimum for you and throughout the large majority of the UK we do not charge for this service at all. We may however charge a small amount more for the most northern or southern parts of the country. You can see any charges for delivery during checkout – these are based on postcode. Can i provide additional delivery instructions? If you would like to send us a message with your order please fill in the ‘Order Notes’ section on our checkout page. Should we need to our team will be in touch to help. I have ordered several items, will they arrive at the same time? Normally we will wait for all of your items to be ready for shipping prior to arranging delivery with you. However depending on what you have ordered we may ship smaller items to you via Parcel Force or another chosen courier. This information will be provided at time of order. 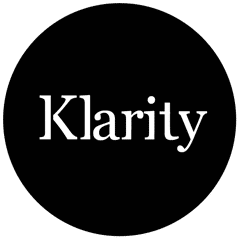 Klarity is a specialist furniture company within the glass sector. Our product range has been carefully selected or created with world glass quality manufacturing techniques; offering you well designed, quality crafted glass furniture, form us at an affordable price. I want to place a large order? We’re happy to hear you’re interested in shopping with Klarity. Please contact our team on info@glassfurniture.co.uk and let us know what you’re after – we’ll be able to advise you on lead times, product suggestions and pricing. I forgot my password! What should I do? Don’t worry. If you click the ‘My Account‘ link at the top of the page and then click ‘Lost your password?’ and follow the on-screen instructions. We will email you a new password. If you would like to change your password to something more memorable, simply login and click ‘My Account’ at the bottom of the page, click ‘Change Details’ link on your account page and follow the on-screen instructions. I’m new to this website – how do I order? Firstly, thank you for your interest in our website and products. All you need to do is progress through the website, find the perfect piece of furniture for you. Select any options and add then when promoted Click ‘Add to Basket’ (you are not committed to purchasing at this stage). Follow the simple on screen instructions from here entering your details as requested. If you have any questions please us our contact page and we will be right back in touch to help. I’m not sure if the furniture will fit into my home/office? First of all take any measurements of the access route, – Can access be gained easily for your items to be delivered? – Are the doors wide enough? – Are there any awkward stairs, lifts or passageways? – Will the furniture fit in the room? If there is anything which you are concerned or unsure about please contact one of our team and they will help advise you. I’m a returning customer how do I order? Feel free to browse our website and once you have found the perfect furniture item, configure and click ‘add to basket’ as before. As you are a previous customer, during checkout, you can simply click ‘login’ at the top of the page and our website will automatically fill in your address and contact details (based on your previous order). Yes you will be automatically sent an invoice by email within a few days of your purchase confirming what you have ordered and any other relevant details. The main differences between Clear glass and Extra clear glass is a very subtle tint, the photo below show you each glass type side by side. Both glass types perform structurally the same – almost all or our products are toughened which makes the glass furniture intrinsically stronger than many of our competitors. ‘Clear Glass’ shown the left / ‘Extra Clear Glass’ shown on the right. ‘Clear glass’ is identified by the very slight green tint when looking through the glass. It also has a dark green edge colour. Some customers like the dark edge as makes the glass shape more defined. ‘Extra clear glass’ is the highest clarity glass available in the world and has next to no tint when looking through the body of the glass. The edge of the glass has a more light blue colour. Some customers feel the qualities found in the extra clear glass enhances the minimal aesthetic of the glass. Note: Glass is a reflective and transparent material, therefore the appearance of colour/tint may vary slightly depending on the surroundings, lighting. Can I order my furniture in a different size? Yes, many of our furniture items are available made to your size requirements. Please email us with the product name and your size requirements and we will reply with a price. An easy way to make sure you enquire about the correct product is to go to the page of the product you like and click on the bespoke enquiry link on the right hand size below ‘Additional information’ and simply enter the sizes you require and click submit. We will do the rest.